Choose from over 300 vacation rentals from multi-bedroom condos and townhomes to lakefront cabins and private luxury homes. High Country Vacation Rentals offer a reservation service and vacation packages for Fairmont Hot Springs, Fernie Alpine Resort, Invermere and Windermere, Kimberley Alpine Resort, Panorama Mountain Resort and Radium Hot Springs. No matter what you are looking for, you'll be able to find the perfect place. Several of the vacation rentals feature private pools, hot tubs, steam rooms, saunas, games rooms, home theatres, private beach access and resort amenities. High Country is knowledgeable on the region, so leave the planning to them. They live and play here each & every day and can provide you with insightful information on everything from the best ski runs, golf courses, restaurants, spas, beaches, hikes, bikes and more. From tee times, lift tickets, spa treatments, grocery delivery and activity bookings- these vacation rental experts can coordinate your ideal vacation. So, if you are looking for more space, amenities, convenience and privacy while saving money on your next vacation - call and speak with a vacation rental expert. High Country’s packages pair great vacation rental accommodation rates with area activities such as skiing at Panorama Mountain Resort, snowmobiling with Toby Creek Adventures and soaking at the Radium Hot Springs mineral pools. Sample vacation specials are Sweet Spot Golf Package and Summer Fernie Special. Details can be viewed on their website. 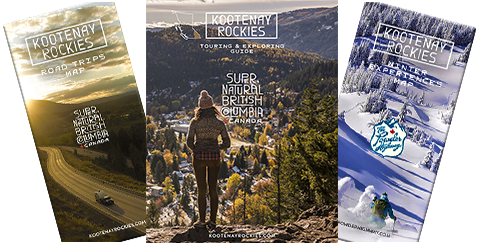 Give the gift of a getaway to the Kootenay Rockies. Gift Certificates are a wonderful and simplified way to give the special people in your life a vacation getaway. Gift Certificates are great for corporate incentives, anniversaries, birthdays, wedding gifts or any special occasion. Over 80 properties to choose from in destinations such as Invermere and Windermere, Fairmont and Radium Hot Springs, Panorama Mountain Resort and Kimberley. Kick back, stretch out and relax – that’s the way to vacation with High Country Vacation Rentals. Lake Windermere Point Condos in Invermere. Ski to your door accommodation properties. Canadian Mountain Cabins located in Kimberley. Fully-equipped and modern vacation rentals.